A study published yesterday in Journal of the American Medical Association offers validation that real-world data obtained from routine clinical care to generate a multi-institution clinico-genomic database is feasible and can yield novel, clinically meaningful insights, Foundation Medicine and Flatiron Health said. 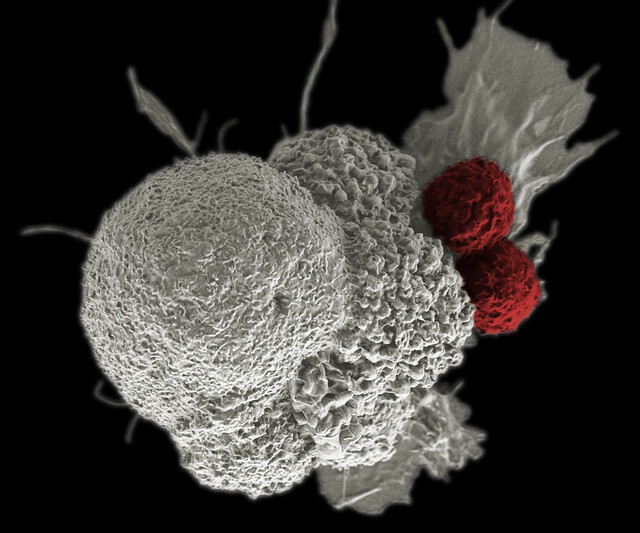 Researchers from the two Roche subsidiaries joined collaborators from six institutions and companies in the study, which showed the feasibility of creating a de-identified clinico-genomic database and validated the potential of real-world data for understanding and optimizing personalized cancer care—including biomarkers of response to immunotherapy treatment. The study, “Association of Patient Characteristics and Tumor Genomics With Clinical Outcomes Among Patients With Non–Small Cell Lung Cancer Using a Clinicogenomic Database,” concluded that the data can not only serve as real-world evidence to advance research and discovery in oncology, but can also ultimately inform clinical guidelines. “The publication of our validation study in a high-profile journal not only validates the ability of a real-world clinico-genomic database to yield scientifically and clinically-relevant findings, but also the potential for this novel approach to significantly impact our understanding of personalized medicine,” Gaurav Singal, MD, chief data officer at Foundation Medicine, said in a statement. “As the dataset continues to grow, we expect it will advance therapeutics development, optimize clinical trial design and execution, and ultimately even support clinical decision making, enabling a more efficient way to evaluate new medicines and accelerate their availability for patients who need them,” Singal added. The researchers generated a de-identified database of 28,998 cancer patients from 275 oncology practices in Flatiron Health’s network across the U.S., linked with genomic data from Foundation Medicine’s comprehensive genomic profiling (CGP) testing results from Foundation Medicine’s FoundationCORE database. Among 4,064 patients with non-small cell lung cancer (NSCLC), exploratory analyses recapitulated previously described associations between clinical and genomic characteristics, between driver mutations and response to targeted therapy, and between tumor mutation burden (TMB) and response to immunotherapy. In addition to demonstrating the database’s scientific validity for rigorous research, the study findings confirmed and extended several biomarker hypotheses in oncology, Foundation Medicine and Flatiron Health said. One example the companies cited: High TMB was shown to be associated with both longer duration on anti-PD-1/PD-L1 therapy and improved overall survival (OS) from treatment initiation, a finding that corroborated recent clinical trial data. In addition, the retrospective real-world analysis re-demonstrated the importance of genomic biomarker-guided targeted treatment in NSCLC: among patients with genomic alterations known to drive tumor growth, treatment with agents targeted to these mutations was associated with prolonged survival. These findings may be extended in the future to identify additional factors associated with response to targeted therapies and immunotherapies, Flatiron Health and Foundation Medicine added. “Our proof-of-principle study validated the importance of marrying tumor genomic data with clinical outcomes recorded during routine care, which represents a huge stream of data that is being generated and recorded every day, but has not yet been used meaningfully outside of patient care,” said Vineeta Agarwala, MD, PhD, director of product management at Flatiron Health. Since launching in November 2016, the clinico-genomic database (CGDB) has grown to include linked, de-identified data for more than 50,000 patients (including over 6,000 with NSCLC). The database is designed to help researchers and biopharmaceutical partners accelerate the development of targeted therapeutics and immunotherapies to treat cancer. The CGDB includes de-identified clinical data—demographic data, medication history, laboratory testing, and outcomes including survival—from Flatiron Health linked to genomic data from Foundation Medicine across a variety of tumor types, allowing for a continuously updated, longitudinal view of a patient’s clinical, diagnostic and therapeutic journey. The CGDB also includes genomic data from comprehensive genomic profiling of tumors, including genomic findings, variant annotations, and computational biomarkers such as TMB, microsatellite instability [MSI], and loss of heterozygosity [LOH].